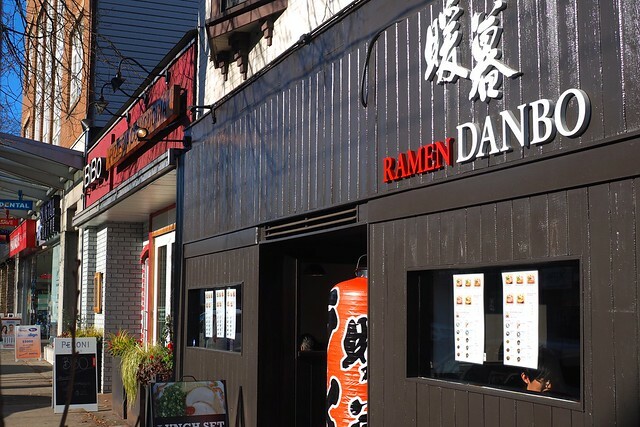 Kitsilano—Fuluoaka style Tonkotsu ramen lives and breathes on West 4th Avenue in the form of a quaint looking, little Japanese noodle joint known as Ramen Danbo (their first location outside of Japan). 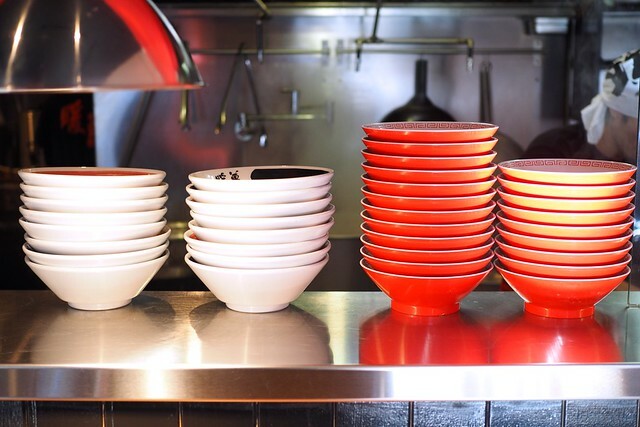 At Danbo, you choose and customize your level of ramen goodness from noodle thickness and firmness to broth richness, amount of lard, and spiciness as well as a selection of toppings. 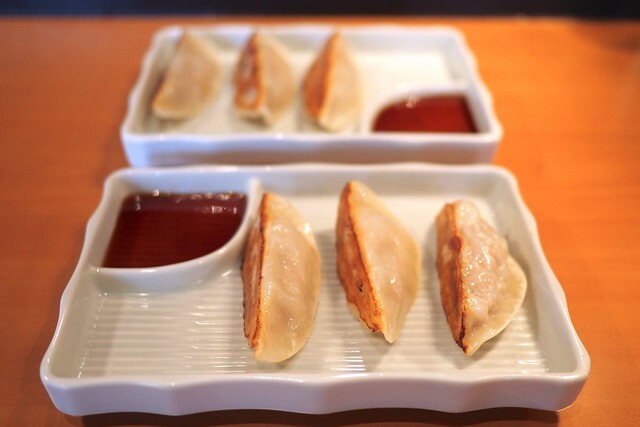 To start, their pan-fried yaki gyōza pork and scallion dumplings are fairly standard. While certainly nothing special, they do the trick as a nice complement to your noodles. The side of Yakibuta Chashu pork donburi (topped with Chashu braised pork belly) was a solid and satisfying rice bowl. 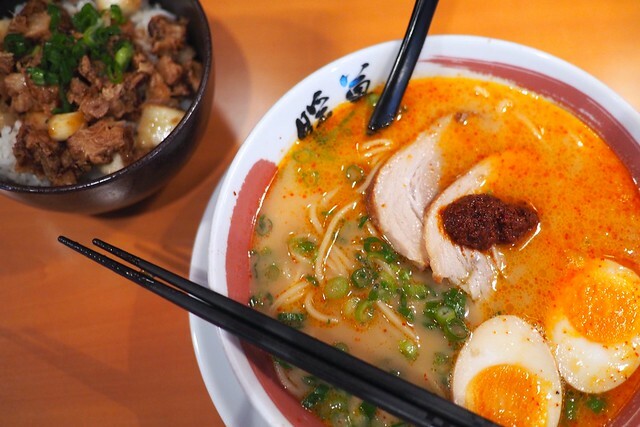 I was slightly underwhlemed but still pleased by the blazing hot Rekka ramen (with Ichimi Togarashi red pepper and a soft-boiled egg) while I only had it the standard five times the spiciness of the classic (instead of ten, fifteen, or twenty times). I found it only the the mildest of spicy but flavourful and rich. 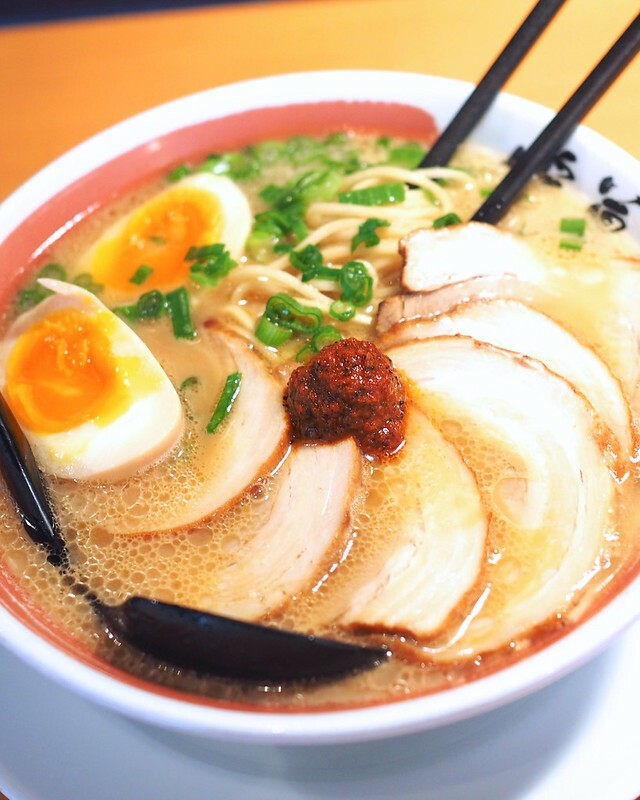 Ramen Danbo offers a nice selection of ramen varieties in a welcomed customizable menu for any diner to choose from and enjoy. 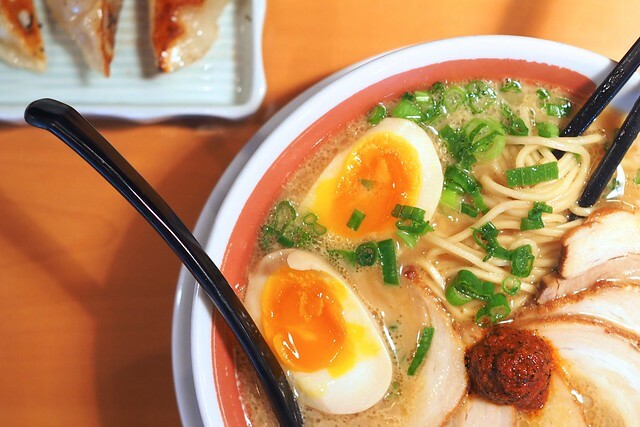 On a second visit, I was much more satisfied by the Yakibuta Chashu pork ramen (topped with six slices of Chashu braised pork belly and a soft-boiled egg) and its warm and comforting flavour. Choosing to have it extra hot added a nice kick to the very tasty and rich broth. Highly recommended. 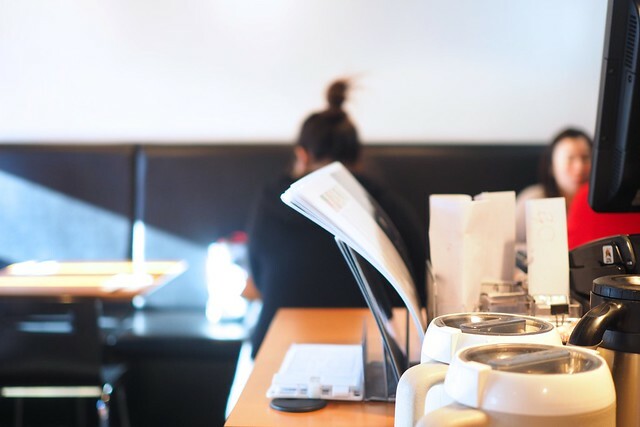 Ramen Danbo is definitely a very appealing and welcoming diner environment full of Japanese details and character with a second location is already opened on the Vancouver ramen epicentre of Robson Street in the West End.